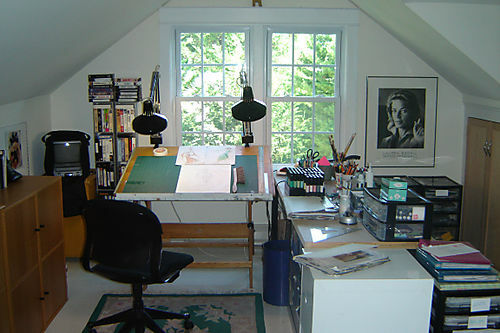 This is the studio I wanted all my life. I love working here where I can look out at the treetops. It is my sanctuary.